Located in Southern California, not far from the Mexico border, San Diego is the oldest town in California, founded in 1769. It has an enchanting natural beauty and a pleasant climate, with mild temperatures and plenty of sunshine. Some of the city's most popular attractions are the museums, gardens, and Spanish Colonial-style architecture found in Balboa Park; the world famous San Diego Zoo; and the Midway Aircraft Carrier Museum. For a little history and shopping, visitors can stroll the streets of Old Town San Diego State Historic Park or wander through the Gaslamp Quarter. San Diego also has more than 68 miles of beaches in and around the city for sunning and surfing. SeaWorld San Diego is one of the city's main attractions, particularly for families. It is located along the waterfront in Mission Bay. For many Americans, SeaWorld has been a longtime family tradition, having been around since the 1960s. 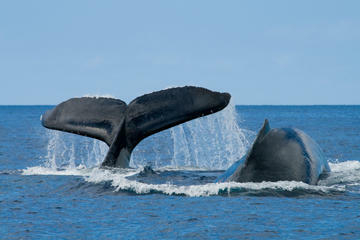 Among the highlights are shows featuring killer whales, sea lions, dolphins, and other sea life. There are all kinds of rides, from roller coasters plowing into water to more sedate carnival type rides for tots. SeaWorld is an aquarium that allows close-up looks at sharks and other sea creatures that can be seen through an acrylic tunnel, along with touch tanks and close encounters with dolphins and inhabitants of tidal pools. Located in Balboa Park, the San Diego Zoo is one of the largest and most famous zoos in the United States. The zoo has all kinds of exotic animals, including pandas, which have been successfully bred here. It is spread out along a canyon, with many hills that can sometimes be challenging for visitors wandering through the site. The park prides itself on the animal enclosures, which are designed to recreate natural settings. In downtown San Diego is the Gaslamp Quarter National Historic District, an area of restored late-19th- and early 20th-century Victorian buildings. Today, the Gaslamp Quarter is a trendy area with shops, restaurants, and galleries, attracting locals and tourists. 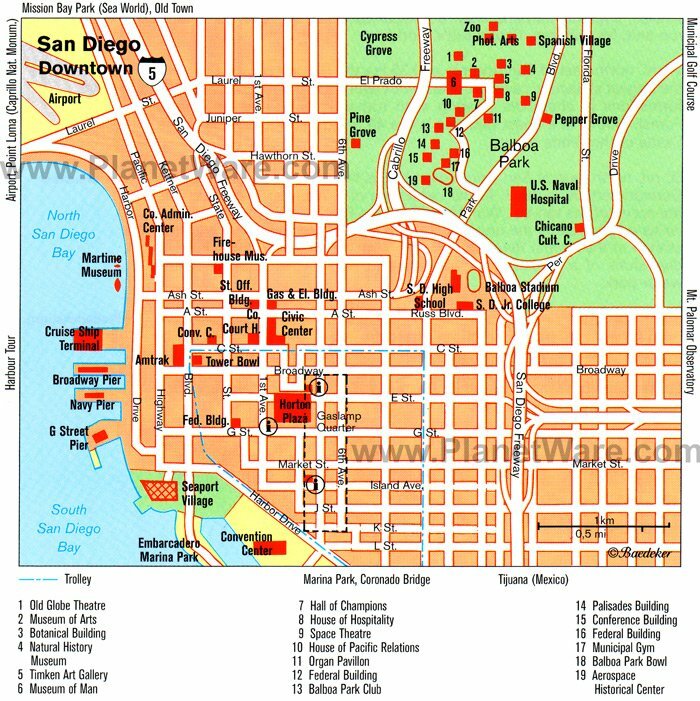 The area covers less than 20 blocks and runs approximately from Broadway to San Diego Bay. There are also a large number of high-end hotels that are popular with both tourists and business travelers due to the great location in the city. This area underwent restorations in the 1970s, which eventually led to it being listed on the National Register of Historic Places. San Diego's Seaport Village is a delightful place to stroll around and spend an afternoon. Located right on the waterfront, this area of unique shops and restaurants is one of the city's must-sees. Picnic tables, benches, and waterfront patios are sprinkled throughout the area, and weekends can be very busy. Outdoor performers take to the stage regularly in the afternoons, some of which can be quite eclectic. The area is easily accessible on foot from many of the nearby attractions including the USS Midway. Since there is limited and expensive parking at Seaport Village, it may be best to park a little distance away and enjoy the stroll along the waterfront to the site. The Old Town San Diego State Historic Park gives visitors a look at the town's Mexican and early American history, and offers opportunities for shopping and dining. It was probably founded in 1820 by demobilized Mexican soldiers who had done their military service at the Presidio or in the fort on Presidio Hill, both of which are located here. Many of the historic buildings, including numerous adobe houses, have been repaired. Also located here are interesting shops and restaurants with outdoor patios. The Old Town State Historic park is the most visited state park in California. There is no admission fee. Point Loma provides an incredible view out over San Diego and the Pacific Ocean. This is the place where Juan Rodriguez Cabrillo first landed on the west coast of the United States in 1542. The history of his incredible "Voyage of Discovery" is told through a variety of displays and exhibits at the Cabrillo National Monument. A large statue dedicated to Juan Rodriguez Cabrillo gazes out over the land he discovered. Also located on Point Loma is the Old Point Loma Lighthouse, built in 1858. Visitors can tour the refurbished lighthouse building. Access to Point Loma is along a very scenic roadway. The San Diego Museum of Art is a copy of the 17th-century University of Salamanca, in the so-called Platero style, with finely-chiseled terracotta and silversmith work. Busts of Spanish painters adorn the façade, and their works hang in the museum's collection. The museum's collection covers a broad spectrum of works from around the world and pieces that date back to 7,000 years ago. Spanish old master paintings, along with Asian art, European art, and art from the Americas are highlighted. Walking along the San Diego waterfront trail, visitors may be surprised when they come across one of the US military's largest ships. The decommissioned USS Midway is permanently berthed at Navy Pier. The highlights of a visit to the USS Midway Museum include over 60 exhibits and 25 restored aircraft. More than 225,000 military service personnel served on the ship, and today visitors can take a self-guided audio tour to learn all about its history. For an additional fee, visitors can try a flight simulator on board. The Mission Beach Boardwalk epitomizes San Diego's dreamy Southern California lifestyle. This scenic three-mile stretch is the place to go for a leisurely walk, sunbathing, and people-watching. The boardwalk is also a popular spot for rollerblading, skateboarding, and cycling. A highlight of Mission Beach is Belmont Park, an East-Coast-style seaside amusement park complete with a historic roller coaster, excellent restaurants, fairground eateries, and street performances. The carnival ambience encourages visitors to relish a day of fun in the sun. Romantics will appreciate the awe-inspiring experience of a Southern California sunset. One of the best places to go is Sunset Cliffs Natural Park, which stretches for 68 acres along coastal bluffs above the Pacific Ocean. The location provides an incomparable viewpoint to take in the ocean panoramas as the sun transforms the horizon from blue to glorious rosy-toned hues. During the gray whale migration season, the Sunset Cliffs Natural Park offers a chance to spot the whales as they migrate to Baja California in Mexico. This was California's first mission. In 1769, the Spanish Franciscan Father from Majorca, Junipero Serra, founded the mission stations, the first of which was built in San Diego. A few years after it was founded, however, it was moved six miles inland because disputes had arisen between the Spanish troops and the Indians. In 1775, the Indians set fire to the new mission; the Fathers sought refuge with the army and it was 1777 before they built a new mission station with the help of the Indians. However, it quickly became dilapidated following secularization. Today, visitors can see the old church with a bell-tower, declared a basilica in the 1970s; a beautiful garden; and a small museum. It is a National Historic Landmark. Luxury Accommodation: In San Diego, luxury-seeking travelers don't have to sacrifice sea views for a central location. The Manchester Grand Hyatt overlooks the sparkling San Diego Bay, a short hop from Seaport Village, the Gaslamp Quarter, and the USS Midway Museum. In the heart of the Gaslamp Quarter, The US Grant is steeped in historic elegance, while the Omni San Diego Hotel is connected to Petco park via a pedestrian skywalk. Both also sit central to other top attractions such as Balboa Park and Little Italy. Mid-Range Accommodation: In the Gaslamp Quarter, with views over Petco Park, the hip Hotel Indigo is a pet-friendly property with an eco roof garden. Also in the Gaslamp Quarter, the Courtyard by Marriott San Diego Downtown resides in an evocative 1920s bank building. Not far from here, the contemporary boutique Bristol Hotel is within walking distance to all the downtown action, as well as the USS Midway Museum and Horton Plaza. Budget Accommodation: Travelers watching their wallet but still seeking a central location should consider the Comfort Inn Gaslamp, in the heart of its namesake district, and the Days Inn San Diego Downtown, five minutes by car to Balboa Park and the San Diego Zoo. Another affordable, good-value option is Old Town Inn, a ten-minute walk from Old Town, with easy access via the trolley to Balboa Park, the Gaslamp Quarter, and the harbor. 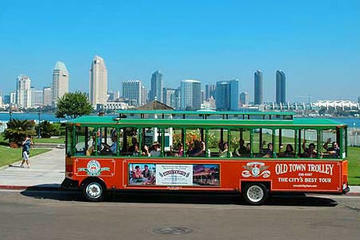 For sightseeing in San Diego, the Hop-On Hop-Off Trolley Tour is the way to go. With the city's year-round mild climate, this is the perfect tour in any season, and it allows for complete flexibility. Get off and explore the areas that interest you or just stay on to see the city at a leisurely pace without having to worry about driving or parking. One or two day passes are available. To get out on the water and see the city skyline, take a San Diego Harbour Cruise. These one- or two-hour narrated tours are a great way to learn a little history, see some of the sights, and possibly spot some seals and sea lions sunbathing.